Sri Lanka auctioned a block of airwaves to become the first country in South Asia to roll out a full nationwide mobile fourth-generation (4G) network, a top official said Friday. Anusha Palpita, the Director General of the Telecommunications Regulatory Commission, said he allocated the airwaves to Sri Lanka's largest cellular operator Dialog Axiata for $26.25 million on Thursday. He said Dialog, the Sri Lanka unit of Malaysia's Axiata, will roll out a 4G mobile network that will allow users to download content from the Internet at speeds four to five times faster than the currently available 3G. "We will be South Asia's first with a (country-wide) mobile 4G/LTE (Long Term Evolution) internatnetwork," Palpita said. Right now, Sri Lanka already has fixed-line telephone 4G in key cities, but the new mobile 4G network will allow users to access high-speed Internet with their hand-held devices across the country. 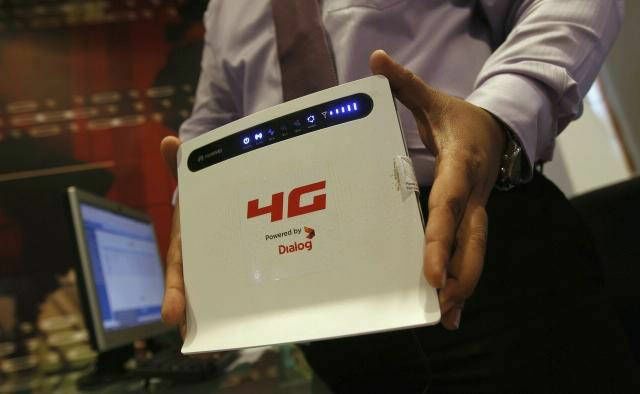 The 4G network is expected to be rolled out "shortly", said Palpita, noting the infrastructure is already in place. He added that the money raised from the spectrum sale Thursday was the highest ever earned from an auction of airwaves. Sri Lanka became the first country in South Asia to introduce mobile phones in 1989 and the first to roll out a 3G network in 2004. 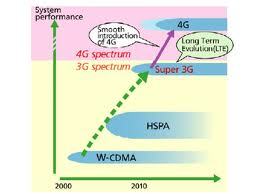 But Palpita said that a vast majority of mobile phones in the country were still older 2G handsets. The five mobile phone operators in Sri Lanka are being encouraged to switch over to newer technology for its increasing mobile phone connections, which now outnumber its population of 20 million, he said.